Macquarie researchers engage in integrative research over the broad range of biological disciplines and taxa. 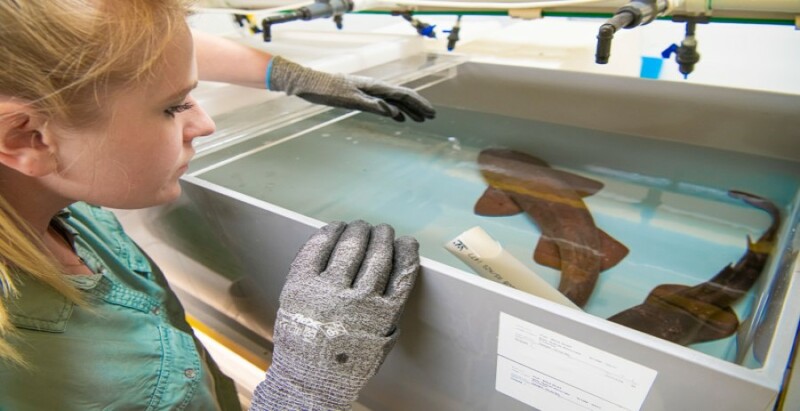 Our research utilises the unique Australian and Antarctic biota and the Department of Biological Sciences offers a dynamic and supportive environment for generating creative, relevant and high-impact research. Our research was recognised as above or well-above world standard in the 2015 ARC Excellence in Research for Australia in the areas of Biological Sciences, Environmental Sciences, Agricultural and Veterinary Sciences. Our researchers have recently won prestigious awards including NSW Scientist of the Year, Australian Academy of Science Fenner Medal, NSW Tall Poppy Award and Eureka Prizes for Science Communication, Emerging Research Leader and Rural Industries Innovation. We are world leaders in climate change research, conservation biology, plant ecology, animal behaviour and evolution. Recent high-impact research includes understanding the mechanisms underlying honey bee colony collapse, tracking marine mammals to understand their movements through the Southern Ocean, using sterile insect techniques to manage horticultural pests such as the Q-fly, and unravelling the evolutionary story of the expansion of flowering plants into cold environments. Download the "Higher Degree Research - Biological Sciences" discipline sheet. There are a number of areas of research strength within the Department. Our researchers have strong collaborative links within Macquarie, to other universities, CSIRO and to industries including government agencies, Research & Development Corporations and NGO’s. Researchers in the Department of Biological Sciences are associated with a number of external and internal research centres. The Master of Research is a two-year research training program. Year 1 consists of advanced coursework that develops in students a strong foundation in practical research skills and a thorough knowledge of current developments in science, while preparing students for the research intensive second year of the program. In year 2 students are immersed in the research community within the department and devote the majority of their time to a major research project under the supervision of leading researchers. Students with Honours or Masters by coursework degrees may be eligible for direct entry to year 2. Successful completion of the MRes program is an internationally recognised pathway to a PhD. A PhD in Biology involves doing extensive, independent research alongside some of the world’s best scholars. Biology is a large and vibrant community of researchers, whose work continually pushes the boundaries of knowledge. Our PhD students are vital contributors to this endeavour. The Department of Biological Sciences offers excellent support for our PhD students including state of the art research facilities, commencement and completion programs, a Research Enrichment program, conference travel scheme, discipline specific training workshops, research budget for project costs, office space, internet and library access. There are two potential career paths after completing your PhD: a small number of students may continue in academic research by applying for postdoctoral positions and funding; other students enter the workforce with a highly developed understanding of the research process and exceptional specialist skills in their chosen field. We encourage and support students to publish their research in peer reviewed journals well prior to thesis submission, so that they are already well ahead in the competitive academic and professional employment markets when they complete.